Each year, hot on the heels of the PokerStars Caribbean Adventure, the Aussie Millions is held down in Melbourne. The Southern Hemisphere’s largest poker tournament series, right up there in prestige with the WSOP, WPT, and EPT, staged 26 events this year over 18 days of play and, as usual, featured millions of dollars up for grabs. The highest profile events are the $100,000 High Roller Challenge, $250,000 Super High Roller Challenge, and of course the $10,000 Main Event (*all figures in Australian dollars by the way). The 2013 installment of the Aussie Millions didn’t lack for excitement. While participation was down, likely due to the sluggish worldwide economy, some of poker’s biggest names were running hot and made deep runs and took home the series’ top titles. Some might look at winning an 18-player poker tournament as not requiring too much skill and not too amazing of an achievement. When the buy in is for a quarter-of-a-million dollars, however, eyeballs can’t help but be glued to the action at the felt and which players will emerge victorious. Just 4 players would cash in this nosebleed-stakes poker tournament, the winner of which was Sam Trickett, who walked away with $2 million in winnings, vaulting him ever higher on poker’s all-time money winners leaderboard. 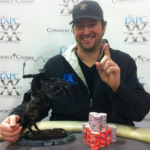 Notably, Trickett has had tremendous success in the past at the Aussie Millions, winning the 2011 High Roller Challenge and finishing 2nd to Erik Seidel in that year’s Super High Roller Challenge. 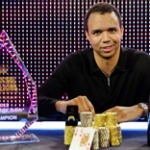 Also of note, 2012 Aussie Millions Super High Roller Winner Phil Ivey did not play in this event to try and defend his title. Just 21 players took part in this year’s Aussie Millions High Roller event, but that still generated a prize pool of over $2 million. Andrew Robl scored the $1 million victory, and to do so he had to outlast a number of other top poker pros, including fellow final tablists Vanessa Selbst, Dan Shak, and Tobias Reinkemeier. Other notables who played in this prestigious 2-day event but did not cash included Jason Mercier, John Juanda, and Gus Hansen. Interestingly, the 2012 Aussie Millions High Roller defending champ Dan Smith opted not to play or defend his title either. Yeah, we don’t know who Mervin Chan is either, but his run to an Aussie Millions Main Event victory simply could not be denied. Ousting 628 other participants in the Main Event, Chan managed to survive a final table that included 2 top poker pros, Patrik Antonius and Dan Shak, who finished in 3rd and 4th place, respectively. 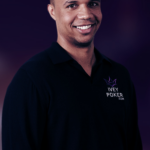 With prize monies of $1.6 million to add to his bankroll, Mervin will look to continue making a name for himself in the poker world alongside some of the game’s other great Chans, like Johnny and Terrance (no relation). Honorable mention for top player of the Aussie Millions tournament poker series goes to Igor Kurganov, who made 3 amazing runs in 2013 High Roller events. First, he finished runner-up to Andrew Robl in the $100K (cashed for $610,000), then he scored a 4th place finish in the $250K (cashed for $500,000). He topped those off with a win in the $25K event, which ironically netted him his smallest of the three cashes, for $275,000.